Do You Work in One of the Worst Healthcare States? 21 Sep Do You Work in One of the Worst Healthcare States? Do you know how your state ranks on a list of the worst healthcare states? Instead of guessing, you can now find out thanks to WalletHub’s most recent report of the best healthcare systems in all 50 states and the District of Columbia. 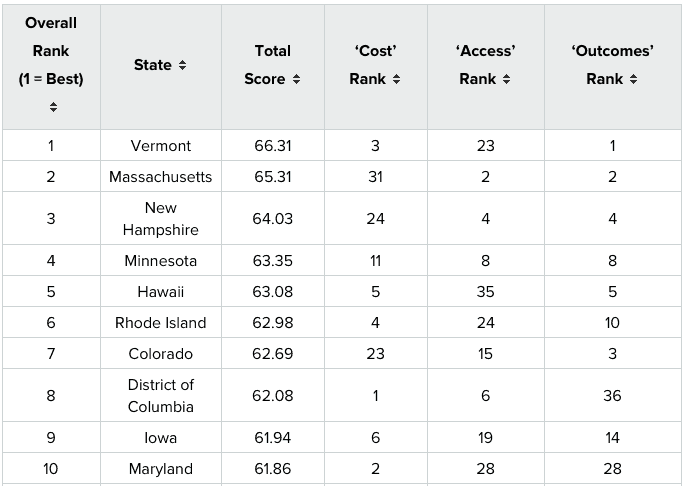 Researchers in the study came up with 40+ different metrics to compare each state’s healthcare system and weighted each one to create their list of the best healthcare states and the worst of 2018. So in this guide, we’ll be taking a look at the methodology and highlight the biggest discoveries to help you learn if you work in one of the worst healthcare states (and what you can do about it). Let’s begin by finding out how the experts compiled their research. They then compiled over 40+ metrics within these categories to provide a complete picture of the US healthcare system and compare states on equal ground. The cost of healthcare is on the rise and higher-than-average expenses may force insurers to pull out of certain states, which means more uninsured patients at hospitals and your independent emergency physician group’s ER. This category also includes the costs associated with patients who skip seeing their doctors because they can’t afford to keep up with their state’s growing expenses to get care. The second metric focuses on patient access. Citizens living in the best healthcare states should have the most access to high-quality healthcare. However, those living in the worst healthcare states will find it difficult to make appointments with specialists, be seen quickly in the ER, or even get insurance coverage. Work in one of the best healthcare states, with the availability of telemedicine, low ER wait times, and patients who regularly visit their doctors and you’ll more than likely see better outcomes. But if you live in one of the worst healthcare states, your outcomes may not show off how hard you’re trying to keep up. How does cost and access to healthcare affect overall patient outcomes? The patient outcomes of many of the world’s leading causes of death were also compared in this category, such as cancer, heart disease, and type 2 diabetes rates. Working in one of these best healthcare states means your patients may have access to specialists, insurance coverage, telemedicine, and much more -- so they’re used to having high-quality health care. As such, these citizens have more options for care and don’t have to rely on the only hospital in town. This means it may be easier to encourage them to visit your independent EM group instead. What happens if you don’t see your state on that list? Citizens living in the worst healthcare states don’t have the same access to high-quality healthcare or insurance so their costs of care subsequently go up while their outcomes remain very poor. But there’s more than just the black and white version of the best and the worst healthcare states. Researchers also found a few nuances to compare even further. So How Does Your State Fare? After reading these results, were you surprised to see how your state ranks? If you happen to work in one of the best healthcare states, congratulations! This means it’s your time to make your independent emergency physician group stand out from all the options your state’s residents have. We can help you increase your ED’s efficiency and patient satisfaction scores using the best tools in practice management. But what happens if you work in one of the worst healthcare states? 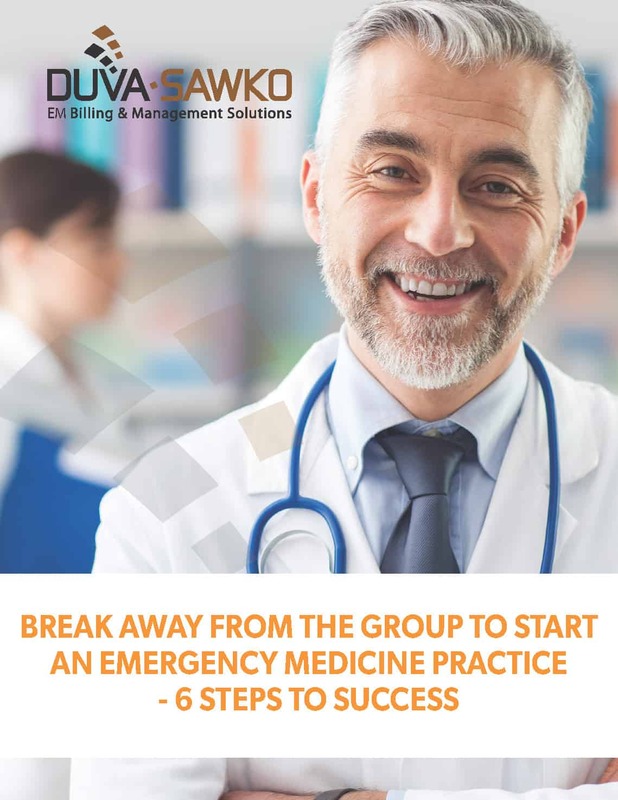 We can help your emergency department work through the healthcare setbacks your state may be facing with our customized Revenue Cycle Management solutions. To read the complete report, check out WalletHub’s original article here. To see how DuvaSawko can help increase your revenues by 30%, click here for a complimentary practice analysis now.